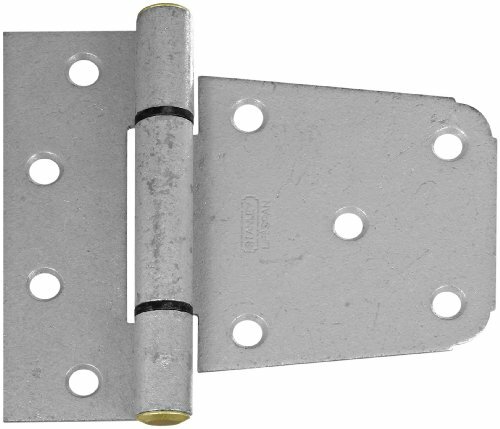 View More In Gate Hinges. Stanley is a global organization supplying hardware for the architectural, consumer, industrial and residential markets worldwide. Stanley continues to deliver the innovative, high quality products that have made the Stanley name synonymous with the highest craftsmanship and dependability for more than 160 years. A top quality line of gate hardware designed for long life and maintenance free operation. Whether you need a gate hinge for a traditional or modern, wood or vinyl gate, we have you covered. hinges come in durable and popular metal finishes and the revolutionary polymer technology that is an optimal solution for gates in high corrosion susceptible areas such as pools. This galvanized finish offers corrosion resistance for products used where corrosive elements, such as salt air, are present.